The Annual Red, White & Blue Ash Celebration will be held at Summit Park. 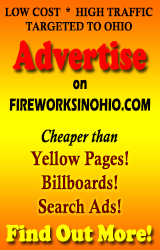 Blue Ash has the biggest and best Independence Day fireworks show in the Tri-State area. Starting with free local and national entertainment and ending with an amazing fireworks show simulcast to music. This is a great way to ring in the 4th! Featured band this year is Pat Benatar and Neil Giraldo!